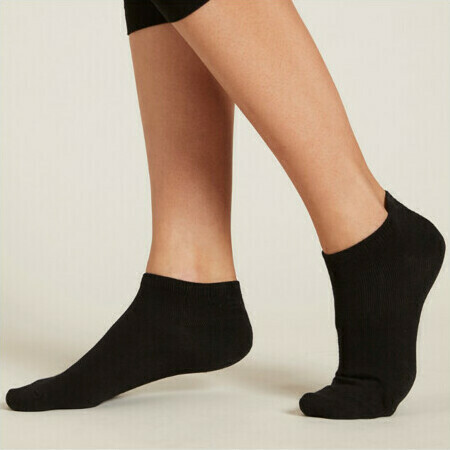 These BOODY Bamboo Women's Low Cut Socks are super comfortable and great with sneakers or under ankle boots, protecting you from painful rubbing during long days on your feet. Hypoallergenic and eco-friendly, they are held in place with just the right amount of stretch, and won't slide under your heel. The premium bamboo fabric is naturally breathable, wicks moisture away from your skin and inhibits the growth of odour-producing bacteria, leaving your feet feeling fresh and dry all day long. Love these, slightly less cushioned and padded than the sports ones so they fit in boots etc better. Soft and comfortable, wash and wear well.